Will Undecided Voters Tip the Election Against Obama? As the 2012 election reaches the homestretch, most pundits are focusing on voter mobilization—turning out each side’s committed supporters. Is the Obama campaign’s ground game as good as its reputation? How much of an improvement does the Romney campaign represent over McCain’s? These questions are well worth asking. Still, observers should remember—as should the campaigns—that uncommitted voters still matter. Nationally, about 5 percent of likely voters—between 6 and 7 million people—report that they remain undecided. Despite the extraordinary amount of advertising and candidate time lavished on the swing states, most of them have large pools of uncommitted voters as well—6 percent in Ohio, 5 percent in Florida and Colorado, 4 percent in Iowa and Virginia. And President Obama remains at or below 48 percent of the vote in each of those states. The undecided vote, in other words, can still be decisive in deciding the election. To see how much uncommitted voters can matter, let’s compare potential gains from committed and uncommitted voters. A widely accepted rule of thumb is that a superior ground game directed at core supporters can raise turnout for a candidate by between 1 and 2 percent—in the context of today’s electorate, by between 650 thousand and 1.3 million votes. If the 5 percent pool of uncommitted voters splits 55-45, the candidate receiving the larger share nets about 650 thousand votes; if they split 60-40, about 1.3 million. The difference between an even and uneven split of uncommitted voters is in the same range as the difference between a superior and mediocre ground game. 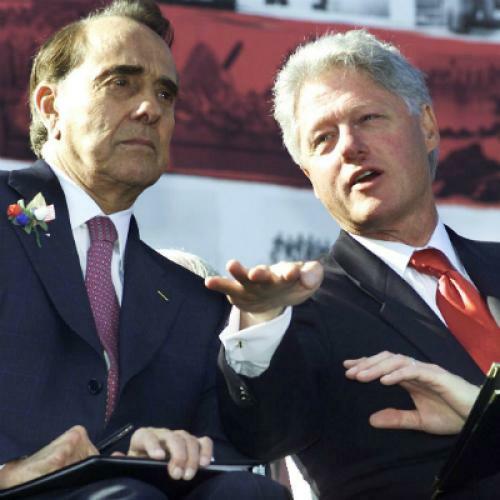 Although Clinton won by 8 percentage points overall, Dole edged him by 6 points among late voters who made up their minds during the final week. In 2004, Bush bested Kerry by 3 points, but Kerry defeated him by 7 points among the late deciders. There’s evidence that the environment of the incumbent/challenger race makes a difference. 1996 was not an especially polarizing election overall, and fully 17 percent of those who voted waited until the last week to make up their minds. By contrast, the 2004 electorate polarized over the invasion of Iraq and the conduct of the “war on terror,” and only 11 percent remained undecided as the final week of the campaign began. Because partisan and ideological polarization are even sharper in 2012, there’s good reason to conjecture that the percentage of voters who remain undecided with a week to go will be much smaller. That does not imply, however, that the propensity of these voters to favor the challenger will change. There’s no guarantee that the past is prologue, of course. Every election is different, and this one may break the mold. Political generalizations are empirical, not metaphysical, and they’re true only until a disconfirming event occurs. Still, it’s easier to construct an explanation for why late deciders tend to break for the challenger than the reverse. If undecided voters approved of the incumbent’s job performance, they wouldn’t have much of an incentive to vote against him. So the odds are that they’re lukewarm at best about him and are trying to make up their minds whether the challenger represents an acceptable alternative. During the past few weeks, the Romney campaign has done everything in its power to render their man acceptable, and they appear to have made some headway. In less than two weeks, we’ll find out whether Obama’s ground game will be enough to neutralize the likely tilt of late-deciders toward Romney. Nobody knows for sure, but one thing is clear: it’s an analytical mistake to focus on the former without taking the latter into account.